The Vice Dean of the IALA World-Wide Academy delivered a course on the use of the “SIRA” risk management tool in the Pacific Community (SPC) Offices, Suva, Fiji on 27 – 28 June 2018. It was attended by seventeen participants from the Competent Authorities or Ports from the following Island coastal States: Cook Islands; Federated States of Micronesia; Fiji; Kiribati; Marshall Islands; Nauru; Niue; Palau; Samoa; Solomon Islands; Tonga; Tuvalu and Vanuatu. Five of these were IALA Level 1 alumni. Three SPC staff members and one marine biologist from Fiji completed the list. Participants were divided into four Groups. Each group had the same task – a SIRA analysis of Funafuti Atoll in Tuvalu. 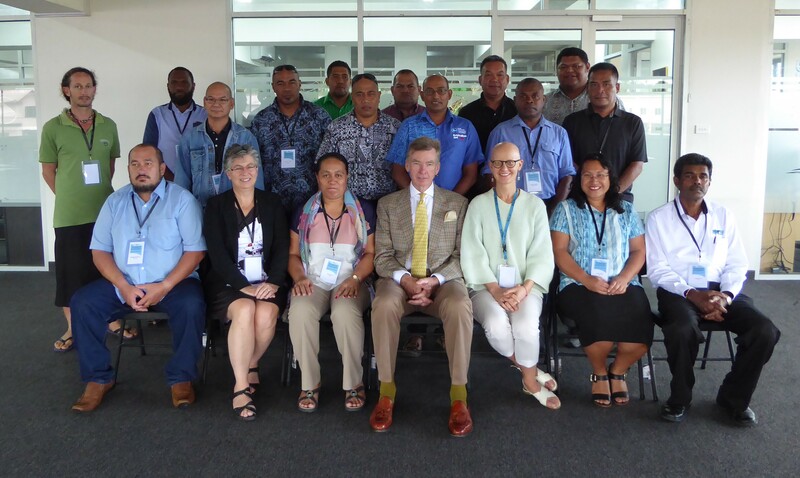 The course therefore enabled Tuvalu to conduct a real-world risk assessment task of its principal harbour which was one of the recommendations from the IALA technical mission conducted earlier this year. The standard of the SIRA analyses was good. All seventeen participants demonstrated their competency in the use of SIRA and were awarded international certificates recognising their achievement. Feedback at the closing session was universally positive. Thirteen independent States can now conduct simple risk analyses using SIRA which will enable them to meet their obligations under SOLAS and forms a key element of SPC’s Safety of Navigation Project Phase 2 (August 2018 – mid 2020).